Hotel perico azul, in Playa Jaco ,Costa Rica is much more then just an average small hotel our old school Costarrican architecture allows our guest to stay on a cozy environment and still be connected to the town , the surf, the adventure and the beach . Filled with local art and detail , this would be the perfect get away from the busy city life yet still on the main surfing town of the main surfing country in the world. This adult only seven room gem, is located ideally in the south end of Playa Jaco Costa Rica, and it has been on the top ten positions on TripAdvisor for the past 4 years with several awards and certificates back that up, all based on the love for what we do and the love we have for our small family business. Our goal is to provide the perfect get away for the young professional , adventure seeker or the solo traveler looking to unplug, relax and practice some of Costa Rica's famous extreme sports, at an affordable rate. Located in the heart of the central pacific of Costa Rica the Hotel perico azul has the perfect access to all main breaks attractions and not to mention the most visited national parks of the country and this alone is worth giving our little hotel and town a shot. With a huge variety of restaurants, local food markets and view points Playa Jaco, Costa Rica is the main spot for both nationals and international tourist one you wont want to miss out. 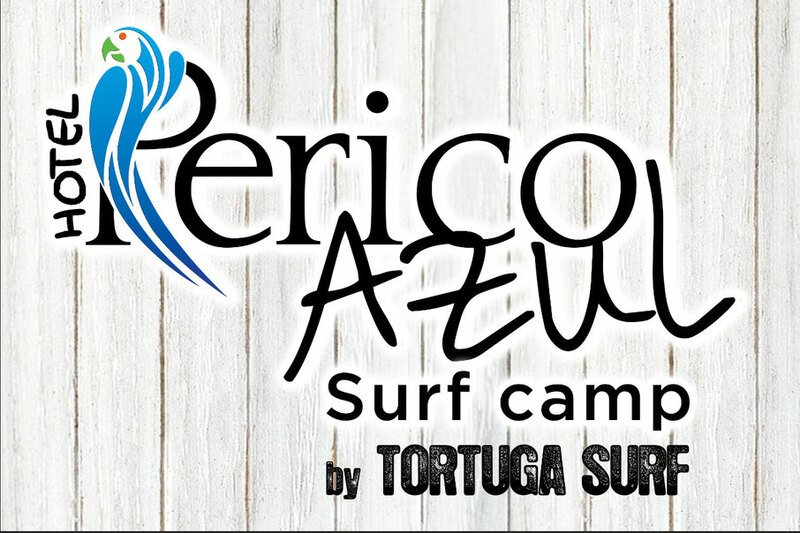 By the hand of our sister company Tortuga Surf camp, we will show you the real Costa Rica, with the best services in the area and the best guides and surf instructors. Local artist being supported in every corner of our surf hotel to bring one of the most important factors of Costa Rica culture, and that is its artistry. Allow us to be your vacation outfit and to show you why we are the best on the business. Times have changed and now people look beyond the classic resort experience, let us be the one to show you the magic of this country, the happiest country in the world and its ever lasting PURAVIDA.